– The train is the easiest (if not the cheapest) way to get from Western Europe to the Czech Republic. – Train fares in Europe are lower than those in the United States. – There are some 18 rail crossings into the Republic and it has one of the most extensive railway networks in Europe. – You can reach almost every small town by rail and trains are indeed a romantic way of traveling around the country. – Travel can be rather slow, however, often involving several changes. – The quickest way of traveling along the major lines are the expres or “rychlík” trains. – Local trains (osobní vlak) stop everywhere and are very cheap. – Somewhat faster are services called “spesny vlak” which stop less often but cost the same as local trains. – Because European countries are compact, it often takes less time to travel city-to-city by train than by plane. 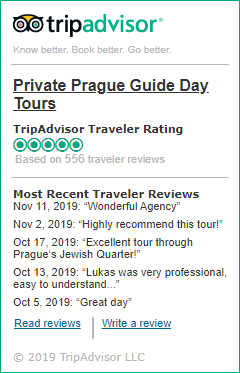 – Prague is about 5 hours by train from Munich, Berlin, and 4 hours from Vienna. – Direct trains to Prague depart daily from Paris (via Frankfurt) and Berlin (via Dresden). – An ultramodern, high-speed, passenger-only train travels from London Waterloo International Station to Europe, the Eurostar, at www.eurostar.com or by calling tel. (+ 44) 03432 186 186. – Trains connect Prague and Vienna 13 times daily; the 4-hour trip. – Trains leave Prague to Warsaw 2 times daily; the 8-hour trip. – Trains connects Prague and Munich 6 times daily, with the 6-hour trip. – Trains connects Prague and Frankfurt 6 times daily, with the 6-hour trip. – There are several train passes that are also valid in the Czech republic (Czech republic Eurails Pass, European East Pass, Central Europe Pass, Eurail Select Pass, Central Europe Triangle Pass) but it’s cheaper to buy point-to-point train ticket. – The European East Pass and the Austrian Czech Railpass are accepted. – Information on traveling on Ceské dráhy (Czech Railways) on www.cd.cz. – Info Line: Czech Railways’ White Line, +420 840 112 113. – To contact Rail Europe, please, visit Rail Europe websites.